About 75 yards north of the Duke of Cumberland, a footpath heads west (over a wooden stile) along the bed of the canal. It leads to the old packhorse bridge over the canal. The underside of the arch has been infilled to prevent its collapse. The west face of the bridge can also be seen, but the canal westwards has disappeared. Returning to the main road, there is a masonry-lined chamber, still retaining water. Opposite a pole-mounted electricity transformer (labelled Ham Corn Mill), a waymarked footpath heads west over a stile, then over another stile into woodland. It runs along the towpath for 200 yards, with the canal bed on the north side. From the road, over a wooden stile, the waymarked path runs between hedges. After 100 yards the canal becomes visible. After crossing a stile, the canal can be followed through woodland. The path rises around the edge of a cutting and then, after another stile, descends to rejoin the towpath. 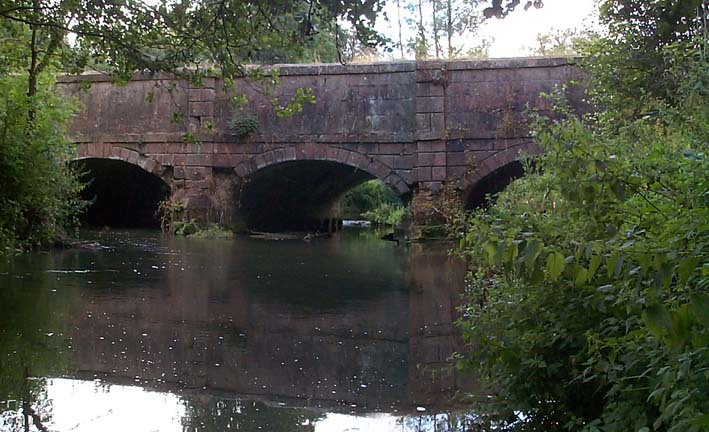 Alongside a wooden footbridge and stile, a short stretch of the cut retains water. The canal disappears across an open field; follow the path along the northern boundary of the field and beyond, to join the road in Coleford . From the road, a signposted footpath heads northwards to the aqueduct. From the path, there is a good view of the stone-faced two-arched aqueduct which spans the valley. Although now lacking any parapet, it was described in an 1825 pamphlet as a 'noble and stupendous aqueduct'. 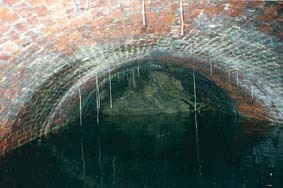 The canal tunnel is still in situ under the road in front of Coleford Methodist Chapel but is not accessible to the public. Pass through a stile in the stone wall just north of the Methodist Church. The course of the canal is by the line of trees. Take the path over a stile; it continues via the towpath, over an embankment. The canal bed disappears as it crosses a field; but reappears before it enters a cutting which was intended to lead to a tunnel. Just south of Vobster Cross, the road crosses the canal by a bridge. On the west side, the bridge arch (filled in) and course of the canal bed can be seen. East of the bridge, the line of the canal can be seen as a line of trees curving round the south side of the field. There is no footpath here, however the bed of the canal is visible on both sides of the road, north of the railway bridge. Take the footpath from the layby at Hapsford, over the stile. Follow the path beside the river which leads to the aqueduct. Leave the road by a gate to cross the railway diagonally via a footpath and through a gate. The path gradually descends alongside an increasingly tall stone wall which is the face of the canal embankment. A short length of canal bed continues southwards.